UPCnet is a new front by the Uganda Peoples Congress to tell citizens of Uganda and men and women of goodwill in all countries about the plight of the people of Uganda under a dictatorship. Death on a massive scale and the loss of fundamental human rights and freedoms have been the lot of the people of Uganda since January 1986. They are to be entrenched as system of governance in the year 1999 or 2000 through a fraudulent referendum. The Constitution proscribes any limitation on or infringement of the fundamental rights and freedoms of the citizen. The exception is when such limitation or infringement is acceptable and demonstrably justifiable in a free and democratic society. However, since 1986 the activities of the political Parties have been banned. They are prohibited from holding public meetings to debate public affairs and are debarred from contesting public elections. The Parties are further interdicted not to carry out any activities that may set them in political competition with or in opposition to the dictatorship. The referendum in the year 1999 or 2000 when the dictatiorship shall have been the sole participant and voice in the politics of Uganda, is disguised as choosing and adopting a system of governence. 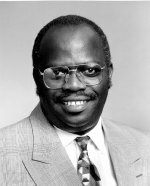 The real objective, in fact, is to remove the political Parties altogether from Uganda's body politic and to obliterate from the Constitution the fundamental rights and freedoms of the individual and thereby enable the dictatorship to conscript, by law, every citizen as members of its Party. The democratic governments in the West have consistently for close to twelve years now, heavily financed and facilitated the entrenchment of the dictatorship. Several have already indicated willingness to finance and facilitate the referendum. In addition to financing and facilitating the entrenchement of dictatorship, the democratic governments in the West have also been collaborators of the dictatorhip in holocaustic massacres of genocidal proportions. In June 1989 at the height of devastating and vicious wars in Northern and Eastern Uganda, the head of the dictatorship, Yoweri Museveni, caused it to be published in the official newspaper that, as the direct result of operations by his army in a vast area then inhabited by some five million people, there were 2.7 (two point seven) million people who had lost everything including homes and clothing being herded (at that time) in make-shift camps. He said nothing about the whereabouts of a similar number of the inhabitants of the same area who, until now have never been seen again. The democratic governments never expressed horror at nor condemnation of the massacres of over two million Ugandans by Museveni's army. Instead and as befits collaborators in genocide with resources and World-wide influence, the democratic governments in the West came up with a false but saturating propaganda that there had been much improvement in human rights observance under the dictatorship. Even Amnesty International subscribesd to the false propaganda. How it is impossible to record much or any improvement in human rights observance in a situation of genocidal massacres and total loss by the citizens of funadamental rights and freeoms was what the democratic governments in the West desperately wanted to conceal and have so far managed to conceal in order to cover up the crimes against humanity of their collaborator, Yoweri Museveni. The Western democratic governments have also been active and willing to finance and facilitate the policy of the Uganda dictatorship to export dictatorship, massacres and loss of the fundamental human rights and freedoms to Rwanda, Burundi and the Democratic Republic of Congo and elsewhere, and to secure Uganda more firmly through unceasing wars and official corruption, as a means to recruit support for the dictatorship. The very huge annual subventions by the Western democratic governments to the dictatorship are meant not only to enable the dictatorship to divert local resources and finance to entrench itself through various ways including unceasing wars and corruption but also to export dictatorship, genocidal massacres and loss of human rights and freedoms outside Uganda. That is the basic reason why the democratic governments of the West, like the dictatorship, are against the political Parties being active lest they ask for the deployment and usage of the huge annual subventions to be accounted. To conceal the purposes for the huge annual subventions to the dictatorship, the democratic governments in the West have come up with the false propaganda that under the dictatorship, the economy of Uganda is growing annaually at a very high rate and that it is the best managed in Africa. Outsiders may be excused in believeing that Uganda, under dictatorship, is now a land of milk and honey. The reality of the Uganda economy, under dictatorship, can be simply stated: it is rampant, debilitating and increasingly deepening poverty. Secondary Schools are in awful delapidated states and classes are half- empty or more than half empty because parents cannot pay the fees. School Libraries and Laboratories have no books and no science equipments. Health Services, under the dictatorship, in an economy propagated to be growing at a very high rate, have collapsed, and nobody cares. Hospitals, Health Centres and Dispensaries have no equipment and no drugs. Babies born prematurely are lucky to have charcoal stoves as incubators. Uganda's Makerere University and its Mulago Medical School both of World-wide fame are now, under the dictatorship, just a little more than a Secondary School and a place to train Paramedics. The University, the Medical School, Staff and Students have been denied finance and resources which go annually to the army and for the entrenchment and export of dictatorship. With the advice and consent of the democratic governments in the West, the dictatorship launched early this year a scheme to destroy quality education in Uganda. The idea is to lay a foundation for future generations of Ugandans to be no more than hewers of wood and drawers of water in the Tutsi Empire now being created. To have 200 to 300 pupils in a Primary School Class where there is no classroom, no equipment of any sort and under a teacher who is rarely paid and is severely debilitated by poverty, is a scheme which the dictatorship and the democratic governments are praising. The UPC cannot condemn it and continue to condemn it enough. The AGENDA for the UPC struggle, campaign and mission has been set by the dictatorship in collaboration with the Western democratic government. The UPC message to both is: It may be in your interests that we be your serfs and villeins, but how can it be in our interest, we the people of Uganda, to be your serfs and villeins. However long and however difficult, the UPC, true to its mission to the people of Uganda, shall struggle and campaign for a Uganda free of dictatorship. The Party did it before from 1971 to 1979. The UPC is resolved and determined to do it again. Through suborning and corrupting some of our members, the dictatorship hopes to cause disarray in and to weaken the UPC and to thereby continue. Infact, the feint-hearted, the capricious, the money-lovers and the traitors and fifth columnists who have joined the dictatorship have deserted the people of Uganda when the people are in dire plights and therefore showed that they were unnecessary excess baggage. Our standard and flag in this struggle and campaign is the Constitution of the UPC. So long as every member continues to struggle and campaign on the authority of our Constitution, a formidable force will continue to confront the dictatorship. The UPC goal is Independent Uganda at peace and in prosperity and freedom for every citizen of Uganda. The Uganda Peoples Congress is one of the major political parties in Uganda and has played a leading role in shaping the destiny of Uganda. In the recent past, however, there has been an orchestrated smear campaign by the NRM/NRA dictatorship calculated to ridicule and tarnish the image of the Uganda Peoples Congress (UPC) and minimize its contribution to the political development of Uganda. As a political Party, the Uganda Peoples Congress has not fraternized with the NRM/NRA dictatorship but has struggled since 1986 in a most hostile political environment and now vows to increase its struggle and campaign against the dictatorship, for the restoration of the fundamental human rights and freedoms of every individual citizen of Uganda. The UPCnet is a forum for discussion amongst members of Uganda Peoples Congress (UPC), their friends and Ugandans at large with access to electronic mail, on issues affecting our lives, our party and the future of our country. As a party of ideas, the UPCnet is set up for the exchange of ideas from all members of the Uganda Peoples Congress (UPC) family and their friends. It has been set up by the people, for the people and the people. When submitting a message to the UPCnetwork, please remember that NO OBSCENITY AND DISCRIMINATION IS ALLOWED. In your first message, it is recommended that you briefly introduce yourself to other members (your name, where you live etc etc). Once more, you are welcome to UPCnet. I hope you will constructively participate in the discussions and share the greatest of ideas while gallantly matching to the 21st century.